London Unattached supported Curry for Change – a fundraising programme for charity Find Your Feet last year and we are delighted to do whatever we can to spread the word again this year. The idea behind Curry for Change is very simple, utilising Britain’s favourite cuisine to fundraise for families in Africa and Asia, including the recently earthquake struck county of Nepal, to offer funds for projects that are sustainable. So by ‘dining in’ and hosting a curry night at home or ‘dining out’ we can all do our bit to help. 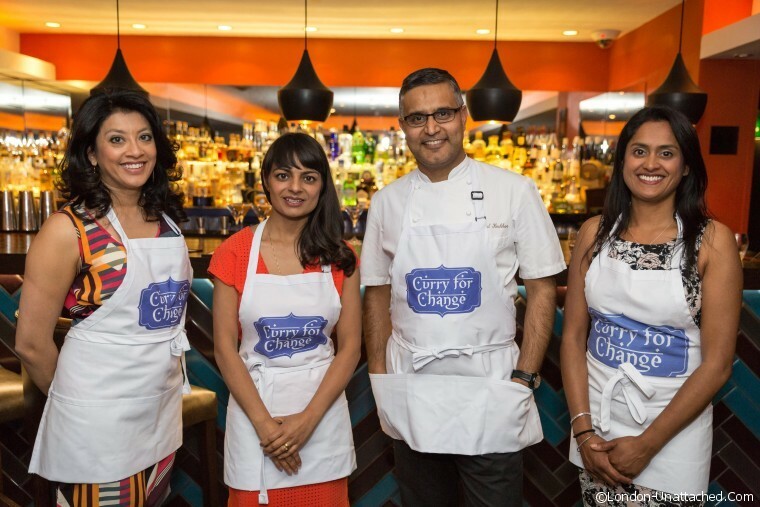 The charity is aiming to raise £50,000, which seems modest given the backing of Chef Atul Kochhar, Chef Cyrus Todiwala and Chef Vivek Singh. We were fortunate to be invited to the Curry for Change launch event in the rather upmarket Benares in Mayfair. Chef Atul Kochhar told us how he’d become involved after meeting Jessica from Find Your Feet in his home city of Benares. The traditional silk manufacturing carried out by the men was an industry in decline in Benares due to competition from China. He was impressed with a how a ‘loan’ given by the charity to women to grow flowers had flourished into a successful venture. The women used the money to buy seeds, and grew the flowers to sell to pilgrims to the city. The women had used to loan to kick start their enterprise, and then ‘passed it on’ to other groups in a domino effect. He said that his visit to Benares had made him acutely aware of the daily food wastage in his restaurant, and he wanted to help in whatever way he could as an ambassador to the charity. But, not everyone wants to travel to London for a curry. So, the idea of the ‘dining in’ is the guests enjoy a curry based feast cooked by your own hands and at the end of the meal contribute what they might normally paid for a ‘take away’. Natco have made an amazing promise to match all the monies raised pound for pound. In order to join in yourself, simply sign up to Curry for Change and receive all the essentials for a spicy night in. 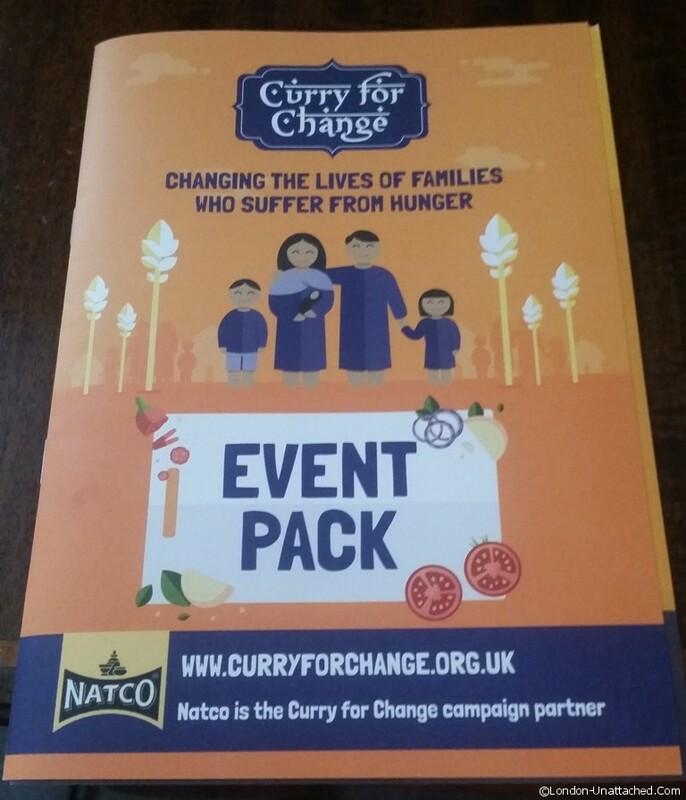 The kit includes exclusive recipes from campaign ambassadors, top cooking tips, and a packet of Natco spices. I am going to host a dinner in a few weeks time. What could be nicer than friends getting together, having a tasty spicy meal, and feeling that you are making a difference to people living in countries where life is hard for many. If you’d like to do the same, please sign up for your kit and get cooking! What an amazing event and a great charity tie-in too!